The Box series IPC from KEB is designed for wall-mounting in control cabinets. Each version has a range of processor sand data carriers available, as well as a selection of optional interfaces. A local or decentralized C6 monitor can be connected via standard DVI connection up to 100 m away for display and visualization. 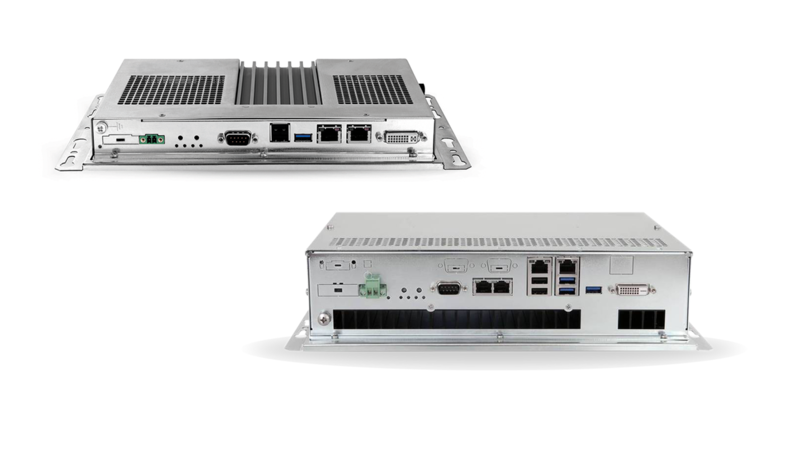 The C6 Box IPC with integral C6 monitor can be used to control machine processes and motion sequences, as well as visualization, data acquisition, and image processing. Optional remote maintenance software can be integrated to create a complete system for operation and maintenance. All KEB IPCs are equipped with an integrated micro UPS to ensure all data is saved in the event of a sudden power failure.